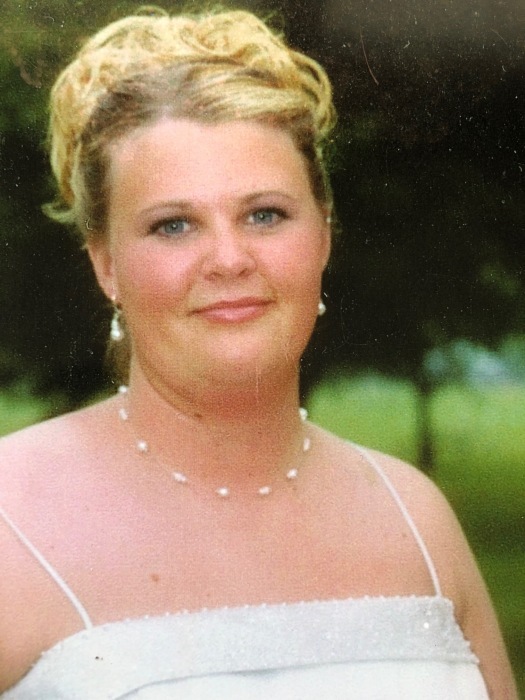 Amanda M. Stoddard, 39, of Weedsport passed away suddenly at her home, on Friday, April 12, 2019. Mandy was born on August 18, 1979, she is the daughter of Marlene Quill and William J. Stoddard Jr.
Mandy was currently attending BOCES and in the process of obtaining her CDL license and was employed at Reeve’s Farms in Baldwinsville. Mandy is survived by her precious daughter, Hannah, of Cayuga, her mother Marlene Quill (Peter Davis) of Auburn, her father William J. Stoddard Jr. (Patricia) of Auburn, her sister Christy Bass (Michael) of Rensselaer, her brother William J. Stoddard III (Jennifer) of Cayuga, her niece Juliana Stoddard, her grandfather, Louis R. Quill of Cayuga and several aunts, uncles and cousins. She was predeceased by her grandmother, Helen S. Quill, grandfather William J. Stoddard Sr., and grandmother, Viola Stoddard. Mandy’s daughter, Hannah, was the light of her life and everything she held most cherished and dear. Mandy enjoyed golf, bowling and driving tractor trailers. She was an avid Yankee fan and cherished rabble rousing with her Juju-bug. Friends and family will miss her lack of political correctness and her willingness to voice her opinions. Calling hours will be held Friday, April 19 from 4-7 PM at White Chapel Funeral Home Inc, 197 South St, Auburn. A Mass of Christian Burial will be celebrated on Monday, April 22 at 11 AM in St. Mary’s Church, with burial in St. Joseph’s Cemetery. In lieu of flowers, donations in memory of Amanda M. Stoddard may be made to the Finger Lakes SPCA of CNY, 41 York St, Auburn.